I have to say that when I agreed to go to Rewind North I was a little unsure if it was my kind of festival. I grew up in the 80s so the music has a special place in my heart but wasn’t sure if that love was enough to keep me going through a whole weekend of 80s music. Well I sit here now a complete convert and I can say that Rewind North is one of the happiest and fun festivals I have ever attended. I’ve never been to a festival where everyone is attending for one reason alone and here it is their love of the 80s. 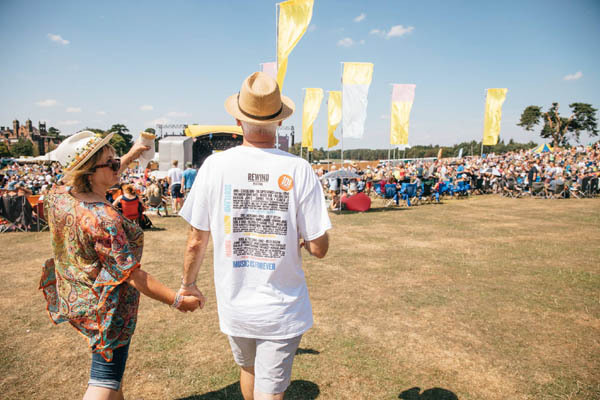 Rewind North is primarily a one stage festival, spacing out the day artists and bands so you can have a wonder around and picking up the pace in the evening with barely a 5 minute gap between acts. 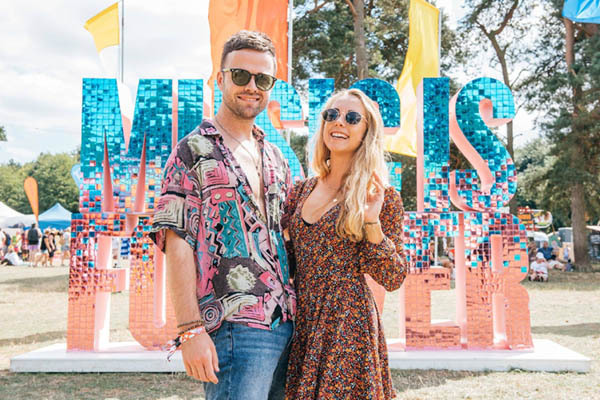 There isn't a great deal to do and see around the site, you can get married in the inflatable church, trying out the wide selection of amazing food or go on fairground rides, but really all the entertainment is on the Main Stage. My only problem I had with the one stage was that everyone set up chairs for the day and navigating your way in and out was a real pain, but that’s only a minor niggle. Once I'd had a brief explore, found the important things, the bar, I settled in for a day of singing and dancing, along with 20,000 80s fans. I found Saturday’s music a bit hit and miss but my highlights were Billy Ocean, Leo Sayer, Mark Almond and The Jacksons. Billy Ocean was on surprisingly early for a man of his reputation but it was a great way to start the evening’s entertainment. He did not disappoint; his voice is still amazing and he packed his 35 minute set with all his hits. When I saw the line-up the big highlight for me was Leo Sayer, I have been a fan for a long time and 'You Make Me Feel Like Dancing' is one of my favourite songs ever. Finally, I was well into the 80s groove, up on my feet, singing and dancing with the biggest smile on my face which didn’t go until I had to return to reality on Monday. Saturday headliners were The Jacksons, I was a bit sceptical to what they would be like without the strong vocals of Michael but with years of performing without him they were note perfect. Their choreography so tight, every move perfect and in time with each other. For one song they put up a video of the original performance and watching the old together they were perfectly matched. 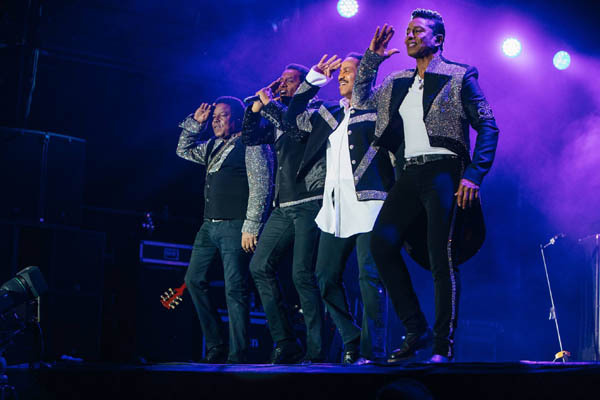 The Jacksons back catalogue is immense and they played them all, it’s quite something to see so many people singing and dancing along. They were due to play an hour but came back out for 15 minutes encore and I still think that wasn’t enough. A great way to end the first day of Rewind North. The Sunday line-up was much more to my liking, where some of the Saturday bands had disappointed the Sunday bands just went from strength to strength. Starting off with Hue and Cry, a favourite of mine, I was able to warm up my vocal cords for a day of singing. 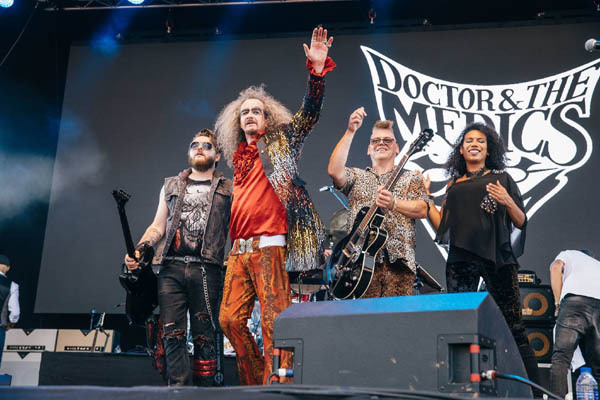 The next standout for me was surprisingly Doctor and the Medics. The Doctor or as I now know him Clive, was compere for the day, his dry wit and self-deprecating humour had the crowds laughing and that humour didn’t stop when they took to the stage, joking that they didn’t have many hits to fill the 15 minutes set. But their cover of 'Rebel Yell' started them off well and who doesn’t love singing along to 'Spirit in the Sky'. Next was Heaven 17, a band I’ve seen a few times and always loved live. 'Temptation' is always a highlight but this time the highlight came from Glen Gregory singing David Bowie’s 'Lets Dance', an amazing tribute that bought a tear to many an eye. Midge Ure followed and after all the years his voice has not changed. Listening to 'Vienna', 'Dancing with Tears in My Eye’s' and 'If I Was' gave me goosebumps but the his performance of 'Fade to Grey' by Visage, a song which he wrote, was the standout moment of his set. 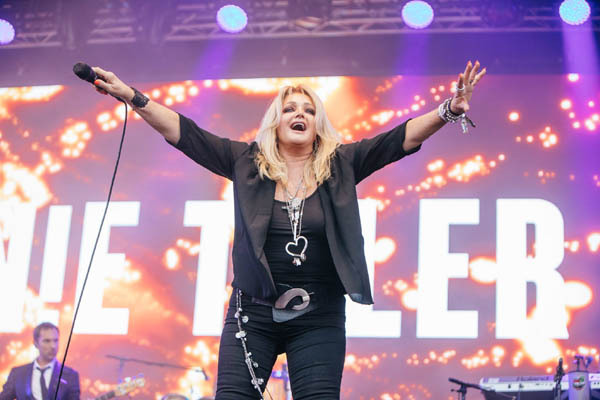 Another artist I was excited to see was Bonnie Tyler and she delivered. 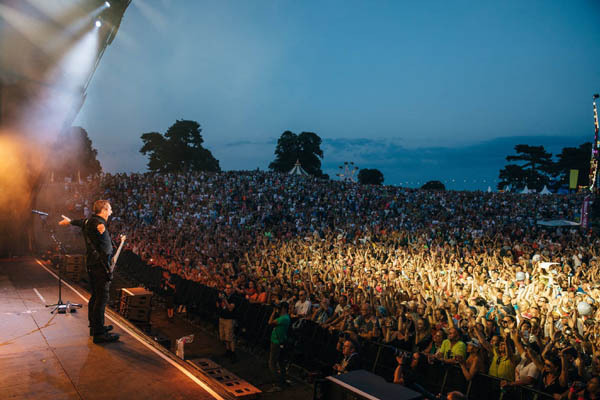 There is nothing better at festival that standing with your friends belting out some classic tracks. I thought I’d lose my voice I sang so hard to 'Total Eclipse of the Heart', 'Holding Out for a Hero' and 'It’s a Heartache'. Sunday night headliners were OMD. I wasn’t a fan in the 80s, not for any reason other than they were probably a bit cool for me, I was definitely more of a pop fan but in my defence, I was young! I was pleasantly surprised by the number of songs I knew, maybe I wasn’t that uncool in the 80s?? Even those songs I didn’t know had me dancing along with the crowd. Topped off by a fantastic light show this was one of my favourite headliners of my festival year. I came, I saw, I sang and danced and wore some questionable 80s fancy dress and loved every minute of it. I'm sure Rewind North will be added to my festival schedule of 2019, regardless of who is playing.